“Trust yourself!” “Tune in to your heart.” “Discover your truth!” In a culture where the autonomy, dignity, and confidence of so many people are systematically undermined from birth, many of us struggle to find our inner knowing and wisdom, our sense of personal sovereignty. At the same time, as humans, we are working with a cognitive “operating system” which has well-known “bugs” or malfunctions – the result being that conclusions we think are obviously right may actually be less right than we think. How can we settle into self-confidence and sovereignty, and at the same time test what we think we know? Can we have the courage, curiosity, and humility to look at our reasoning processes, see where we typically make mistakes, and adjust our thinking to compensate? All in a supportive container, with plenty of time for cuddles (if you want them), conversations, and connections! $295-$495 – Fees are on a sliding scale. Any money received above and beyond our basic cost will go towards a scholarship fund for lower income individuals and the improvement of this and future Camps. We ask you to pay as high on the scale as you can reasonably afford. There are scholarship funds available for those truly in need. If you want to be at camp, we want to have you here! Register here, fill out a work-trade application here, and we’ll contact you to work out a win/win. The registration fee covers all workshops, events, campsite, and all meals shown on the schedule. Every all-natural meal will have vegetarian, vegan, gluten-free, and non-dairy options, and we can accommodate most other special dietary needs as well. Indoor accommodations available from $75 per person for the entire event. 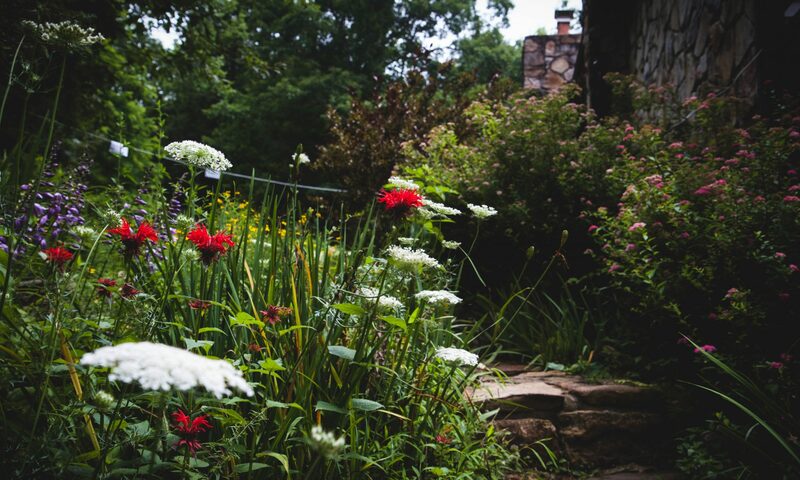 At Spring Camp, we live, work, learn and play together up to 5 days or more in a rustic woods-and-water setting. Hang out around a bonfire, enjoy a song circle, cuddle up at a snuggle party, learn skills to make your relationships richer and more satisfying, and build connections with others that last all year long! 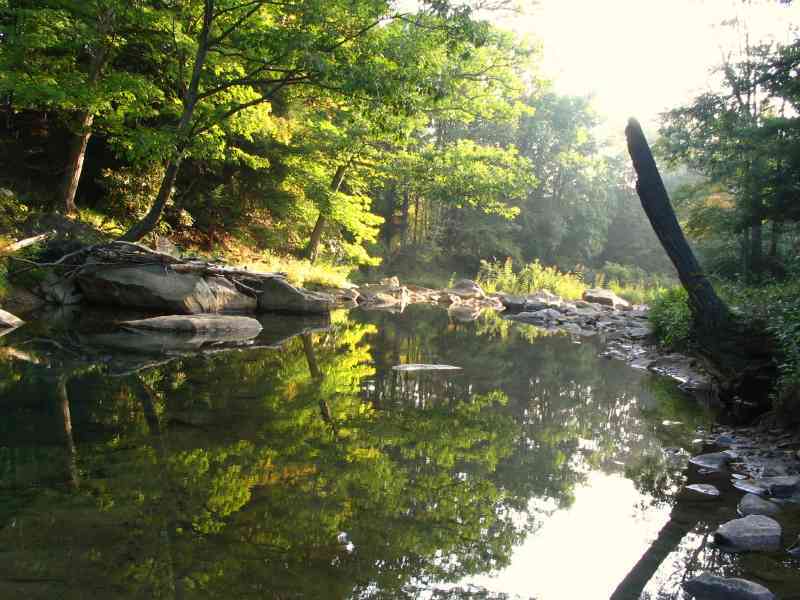 Camp takes place at a private campground / retreat center with a wild, whitewater stream alongside, about 2.5 hours west of the Washington DC area and 2.5 hours southeast of Pittsburgh. Indoor accommodations are available starting at $75 for the whole event. *What is Unique About New Culture Spring Camp? Not just another superficial meet-and-greet, Spring Camp is 5 days long so that there is time for real connections to be made, and real interactions that create a basis for ongoing connections after the retreat as well. Of course, intimate connections sometimes have their challenges. The program offers new tools and skills training that help those connections reach their full potential, with support available from experienced team members. There is none of the scattered energy that many events have. 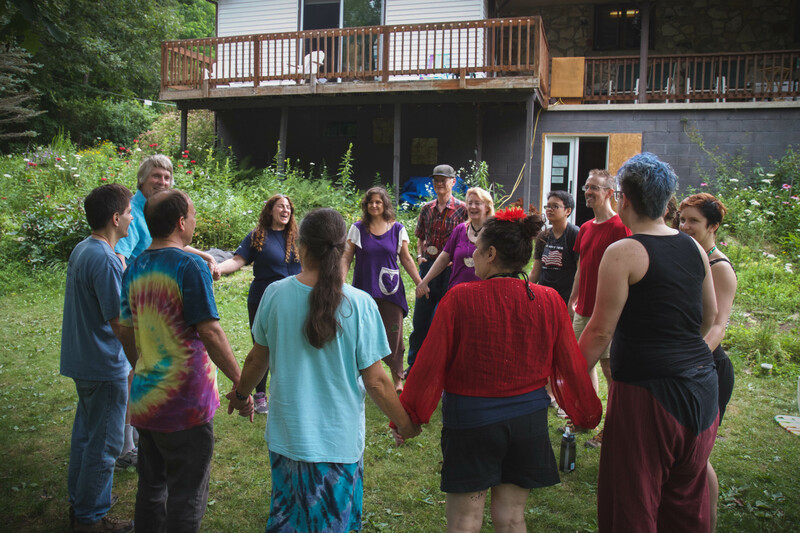 For most of the retreat, there is one workshop at a time, chosen for its critical value for virtually all campers, led by a nationally known facilitator. Those who choose to go to a workshop will have new skills and experiences shared with most of the other participants, building the context for ongoing relationships and adding to the common context available to all campers. Certain topics may be critical for some people, but not relevant to many others; these will also be offered one at a time, with free time and recreational and connecting activities as alternatives. Most of these are created and facilitated by participants. We have morning whole group check-ins, afternoon community circles, and one on one support whenever you need it. And of course, everything is optional– you are fully “at choice” about your attendance and/or participation in any activity or workshop. Making new connections. Deepening our existing relationships. Gaining relationship skills and personal empowerment techniques. Building our soul community that stays with us all year long. Many participants can expect to wind up connected with other participants on an ongoing basis, through e-lists, frequent gatherings, personal relationships, and joint projects.